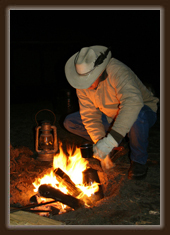 In Wyoming, we believe that everyone is entitled to a fresh cup of coffee. 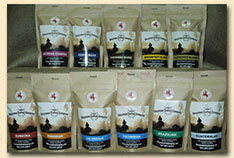 Cheyenne Coffee Company has rounded up some of the best Arabica beans available. 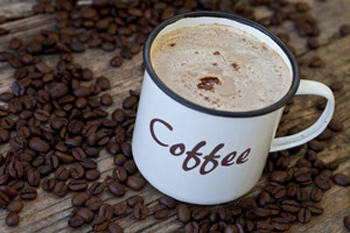 You're sure to find that perfect cup of coffee when choosing from our selection. Your coffee is carefully hand roasted in small batches when you place your order. that you receive the freshest coffee possible. We are small enough to custom roast your coffee, but advanced enough to embrace the latest technology. It is this technology that helps us to give you a consistent roast every time. fit inside most coffee cups. Each small bag will brew approximately 2 pots of coffee. Buy 2 weeks worth of coffee at a time and keep the beans in an airtight container. Grinding your own coffee beans will give you the freshest cup of coffee. A. Grind your beans just before brewing. If you just don't want to be bothered with grinding your own beans, we will be happy to grind them for you. B. Use fresh water. If your water is not the best tasting, or if you have hard water, use bottled water or a water filter. Avoid distilled water. C. Use the right amount of coffee. Use a minimum of 2 tablespoons for each 6 ounces (3/4 Cup) of water. Using too few coffee grounds can make your coffee taste bitter due to overextraction. D. Serve your coffee fresh. Don't let your coffee sit on a hot burner for hours. Try using a thermo carafe. Website Hosted by Wyoming Network Inc.